Millions of people are celebrating the Lunar New Year, also know as Chinese New Year, the most important annual holiday in Asia. 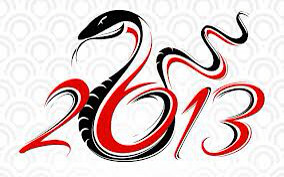 2013 heralds the arrival of the year of the snake, taking over from the dragon. The snake has a mixed reputation in China. It is associated with wisdom, beauty and intelligence but also with pride and anger. All across China, fireworks were let off in the belief that evil spirits will be banished to the past, setting up a clean canvas for the year ahead. 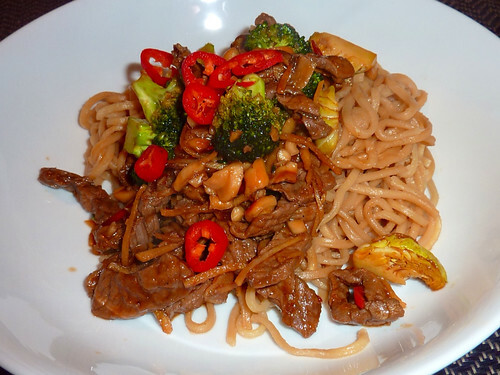 Why not try this easy beef stir fry dish and help celebrate Chinese New Year? Heat some groundnut oil in a wok until it starts to smoke. Add the beef to the wok and stir fry until cooked through. Once the meat is cooked through, remove from the wok and set aside. Keep the heat in the wok and add the garlic, chilli and ginger. Stir fry for a minute taking care not to burn the garlic. Add the soy sauce, sweet chilli sauce and ketchup to the wok before adding the chopped cashews and the water. Bring the sauce to a simmer and cook for a couple of minutes before adding the broccoli and continue to cook for a further couple of minutes. Finally, put the beef back into the wok, stirring through the sauce until the meat is heated through. To serve, divide the contents of the wok between two bowls and serve with soft egg noodles or fried rice before scattering a few slices of red chilli over the top. Your rice or noodles will cook in the time it takes to prepare the rest of the dish, so with a little preparation this dish can be ready in under twenty minutes. A truly delicious way to ring in the new year. Xin Nian Kuai Le!